A Republican recount official involved in the Newport News race that was decided by one vote had second thoughts about a ballot that wasn't counted. Republicans hope to force a tie in the race in a bid to maintain their majority in the House of Delegates. WASHINGTON — A three-judge panel declared a tie in a Newport News House of Delegates race one day after the Democrat had declared victory. The tie decision – 11,608 votes – would put the 94th District race in the hands of the State Board of Elections, who would draw lots to determine the winner. The race could also decide the balance of power in the House. 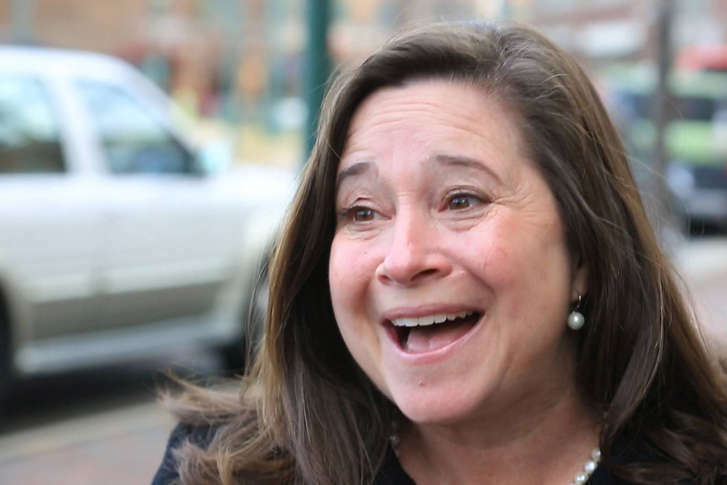 Shelly Simonds’ apparent win Tuesday by a single vote would have given Democrats enough seats — 50 — to challenge Republicans for control of the chamber. After the Nov. 7 election results, Republicans appeared to maintain their majority 51-49. That all changed again Wednesday morning when the judges agreed to count a vote for Yancey from a ballot that recount officials decided not to count, neither for Simonds nor for incumbent Del. David Yancey. The voter had filled in bubbles for both candidates but put a slash through Simonds’ name. Republicans argued that the voter had intended to pick Yancey because he or she had voted for the Republican candidates in other races on the ballot. Lawyers for Yancey told the three-judge panel that a Republican-appointed recount official had second thoughts overnight about a ballot that was not counted Tuesday. The recount was one of four that followed the November election. Two others were scheduled this week and a recount in Fairfax and Prince William counties confirmed the re-election of Del. Tim Hugo. According to a statement from Republican House leaders, the State Board of Elections will set a public meeting to determine the winner. That drawing — such as picking a name out of a hat — was not expected to happen Wednesday. No date has been set. “Once the (recount) court has issued a final order, we can better evaluate what next steps are necessary for the State Board of Elections or Department of Elections to take,” said Edgardo Cortes, commissioner of the Department of Elections. BREAKING: We obtained the actual ballot submitted to the court. A Democratic wave in November flipped more than a dozen seats blue and severely eroded the power of Republicans, who have dominated the House for 20 years. A 50-50 tie in the House would force the two parties to broker a power-sharing deal – something that hasn’t happened since the late 1990s.